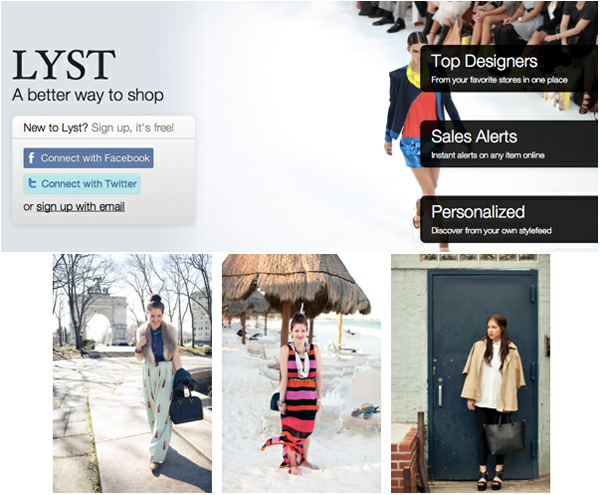 Lyst.com is a social shopping site that helps you discover the best fashion for you. Follow your favorite designers, boutiques, bloggers and stylists to get their latest updates in your 'stylefeed'. Check out the super well-designed site, pretty pictures of the latest styles and sign up to follow your favorite designers and bloggers. If you've ever wondered what my dream job would be, what keeps me up at night and what my most treasured possession is.... then check out the full Q&A HERE. Thanks for having me Lyst! Side note :: We are in Texas with family this week (also known as..... I'm laying by the pool and drinking margarita's and hanging out with my baby nephew) so please excuse a wee-bit of an absence this week. Family time is treasured time.